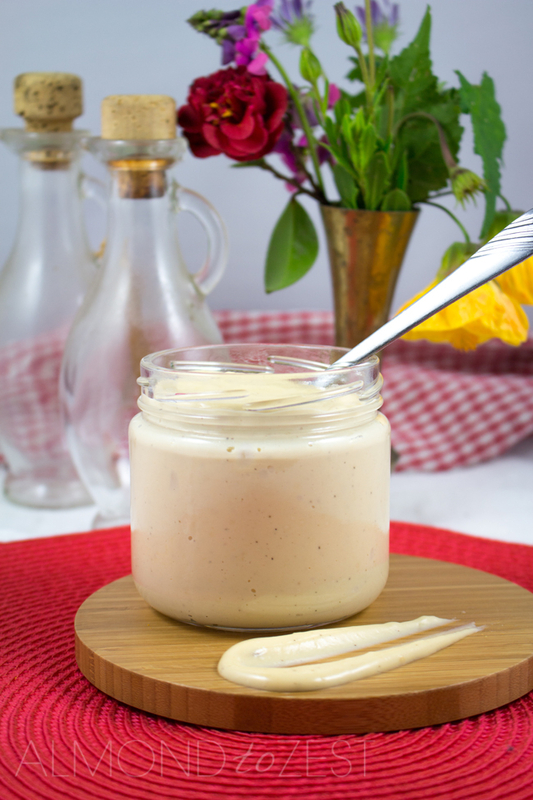 This delicious roast garlic mayo recipe is one of our many easy homemade alternatives that we guarantee you’ll love! 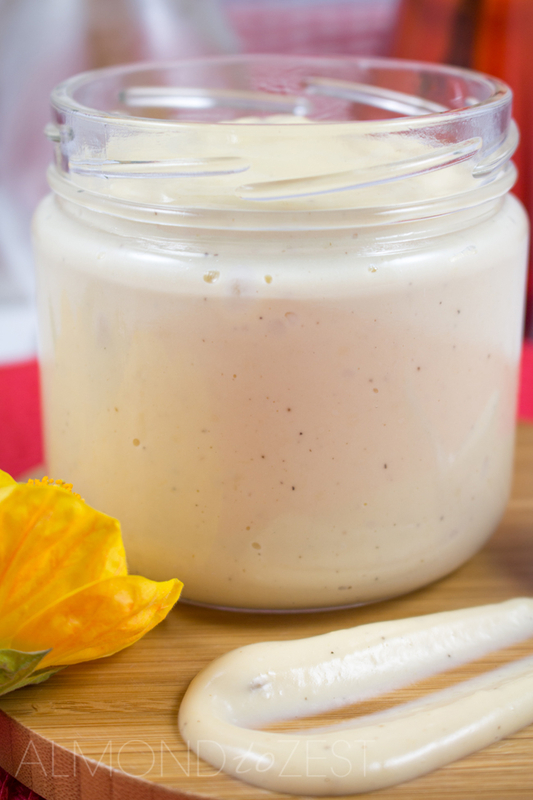 Making homemade garlic mayonnaise is simple and easy, plus it tastes way better than the stuff you buy off the shelf. All you need is a few ingredients and you’re ready to rumble. This garlic mayonnaise has been made even better because it has the added subtle flavor of roast garlic. It can be used as a spread, a dip or a dressing. Try it on my HERB ROASTED CHICKEN SALAD. Be sure to check out our other homemade recipes that are delicious alternatives to many store bought products here! Although the garlic is not actually ‘roasted’ in this recipe, that great roast garlic flavor is still achieved. 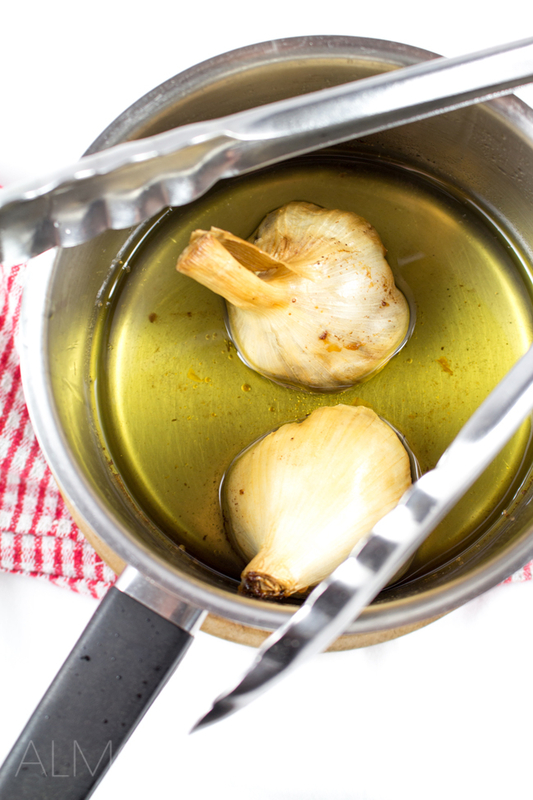 Place the garlic and oil in a small saucepan and cook over a medium heat for 5 minutes. Cover the saucepan and reduce to a low heat for another 15 minutes. Take off heat and carefully open lid and turn garlic, then cover again off the heat for another 20 minutes. Remove lid and allow to cool. Once the garlic has cooled down remove it carefully from the saucepan squeezing each bulb a little to allow the oil to drip back into the saucepan. Slice the bulbs half way between the top and bottom and squeeze the cooked cloves into a food processor bowl. Take care to discard any bits of skin. Process until smooth. Add the egg yolks, mustard and vinegar and process until combined. Transfer the oil from the saucepan into a poring jug and slowly add to the food processor in a thin stream. Once combined add the water, salt and pepper. If it is a little thick for your liking just add a little more water until your desired consistency is achieved. Likewise you can adjust the seasoning to your taste. Please advise when you bottle the mayonnaise, how long is its shelf life? Hi Jennifer, this will last a week in the refrigerator when kept in an airtight container. Just make sure the eggs you use are fresh and have at least this amount of shelf life left.